Summary: 100 Glimpse into a night out, enjoying local talent at an OKC venue. Simultaneously serving as a tiny listening room and a folk music mecca, every show at The Blue Door is intimate and personal. Located on 805 N McKinley Ave. in Oklahoma City, The Blue Door is an almost-hidden oasis for singer songwriters and folk listeners. 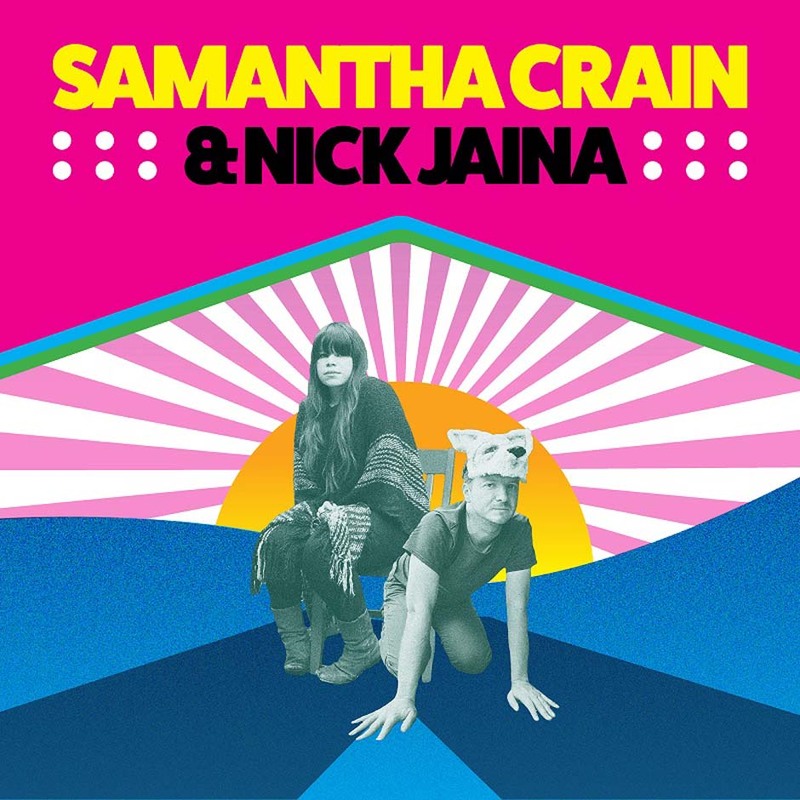 Recently, I visited the intimate listening room to enjoy the sounds of Nick Jaina and Samantha Crain. I had spotted Jaina before the show, outside on the patio, practicing his songs on a glittery, unplugged electric. He was quiet, smiled nicely, and seemed like he had been thinking all afternoon. Later, as I took my seat, Jaina had already taken the stage. He began with stories of his home in Portland, and he wove audio clips of crickets, frogs, and the sound of rainwater into loops behind his songs. Each song he played was full of personal anecdotes and imagery, conjuring up some distant memory most people have had but had forgotten about until then. Consistent with his quiet disposition off stage, Jaina’s voice remained delicate and was still hushed, despite the microphone. I sat still on the edge of my seat, leaning inward to catch every lyric he gave away. He ended his set with a long poem – a list of reasons why he loves the world. Some of these reasons included quips and appreciation for dinosaurs, images of his mom and dad at holiday dinners, and the breathy sound of a saxophone being played softly. There was a comforting, familiar feeling after his set was over, and Samantha Crain was ready to take her turn. Before she started, I heard Crain’s honest laughter resounding off the leaning walls of the Blue Door’s back room, and I had seen a flash of her bright orange hair down the hallway. 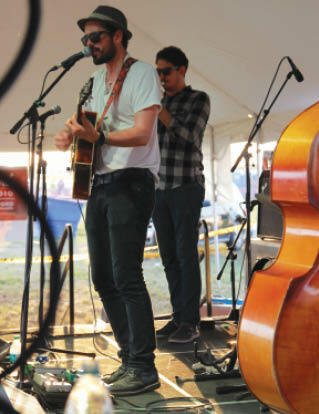 Crain is no stranger to the Blue Door, having played shows there several times a year for the better half of the decade. She looked at ease. Of course in the 10-plus times I have seen her, she has always seemed at ease. She walked to the stage with Seth Lee Jones accompanying her, a guitarist from the Tulsa music scene. She played old songs and new songs, all filled in with the pillowy sound of Seth’s guitar. His reverb and chorus were set high, emitting a sound like his guitar was shining. Crain spoke little and sang more, her voice like thunder rolling in. With her jazz-like phrasing and smoky notes, I was reminded why I keep coming back to her shows. Unfortunately, with the venue being so small and up-close, Seth’s guitar nearly drowned out Crain’s powerful voice. This was different than when she has told longer stories and presented herself more wholly, with just her own guitar and microphone to accompany her. The evening ended with Crain belting out a song from her very first album, one that I surprisingly had never heard before. Everybody seemed to be smiling afterwards. I went home happier than I was when I first sat down. I’ll definitely be catching Jaina again, and if habit overcomes me, I’ll be seeing Crain again, too.